Lets face it, sometimes it's not always the destination, it's the hotel that can make or break a trip. We can all get weary of the same old formulaic hotel lobbies with no funk or design that should have been left in the 1980's. Others are so over-indulgent, and over the top that fear of breaking an antique in the lobby becomes paramount. But there is some good news. In this day and age, there are a new wave of unique hotels appearing. Whatever style your looking for — you'll have no problems finding somewhere different. Some aren't always cheap but then quality comes at a price. You'll be surprised how inexpensive others are. A great hotel doesn't take that much effort to find, and it's refreshing to stay somewhere that has simply put thought into its design, instead of just throwing money at the problem. And if good design makes you happy — there is a whole new breed of hip hotels waiting for you to discover. Just 10 minutes by car to the majestic Angkor Wat Temple, FCC Angkor has become the boutique hotel of choice in Cambodia since it's recent reopening and complete rehaul in both design and amenities last November. Once used as a government office, it was rebuilt in the60's after being occupied by the Khmer Rouge. The FCC is modern but tastefully in keeping with the local environs. It combines modern style with traditional grandeur. 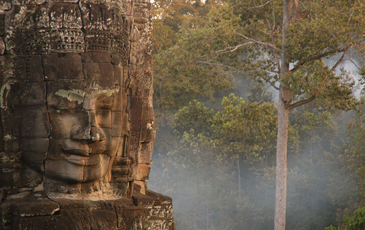 Integrating both Asian and colonial design, while not forgetting Cambodia's turbulent past. 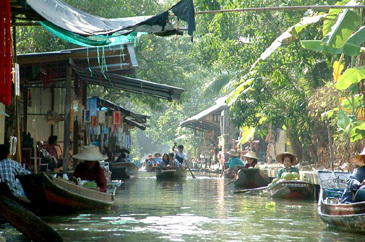 An added bonus, it's also famous for it's hospitality and service, with a buzzy little restaurant set in the gardens. The kitchen also prepare delicious picnic's, made with homemade fresh bread, if you are spending time at the nearby Angkor Wat temple. With this location, chances are you will be. Actually about 60 km from Beijing, The Commune is an edgy design wonder in a natural setting. The 11 houses offered plus one clubhouse are all dispersed along the steep slope of a peaceful valley, framing dramatic landscapes including the majestic Great Wall to the West. Ms. Zhang Xin, the architect has created a sharp minimalist look, giving a feeling of space in amid the hustle and bustle of Beijing. The separate houses are designed around the different countries in Asia i.e Japan house, and Tiawan house and this adds to the mix. All the houses have huge windows that look out onto the green, immense mountains and give a dramatic feeling of being out in the wilderness. Como Hotels and Resorts are more famous for their Parrot Cay property in the Carribean which has won numerous travel awards. 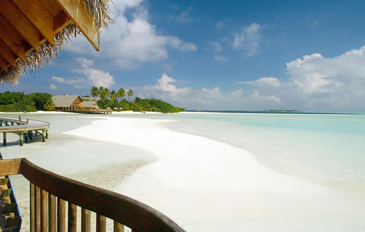 But just a minute, lets not forget the little known beauty of Cocoa Island, Maldives. Inspired by the local fishermens dhoni boats, the accommodation at Cocoa Island is unique. These beautiful wooden boat houses are anchored to a small wooden walkway above crystal clear waters. You can literally slide from your terrace into the warm ocean. The view from your bed is straight out onto a mirror flat horizon. Eat simple dishes like freshly caught lobster, but on the beach and with your feet tucked in the sand. If peace and relaxation are your main needs, it really is the only place to rest and gather your thoughts. 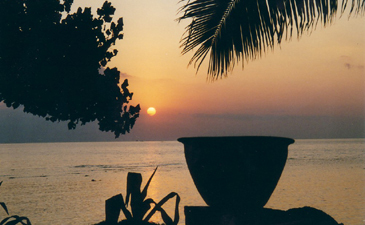 Could there really be anywhere more perfect in the world to do it than on an unspoilt island in the Indian Ocean? Set in coastal capital Khanh Hoa Province, Ana Mandara is an authentic Vietnamese resort in keeping with its surroundings. In the heart of 26,000 square metres of tropical gardens, this is a magical place. Reminiscent of an old Vietnamese village, the design reflects local traditions through its architecture and furnishings. The use of local woods, rattan and ceramics feature heavily.There are no towerblock eyesores here, thank you very much, and the landscape has definatly benefitted from it. Instead you can look out at the coconut tree's minus the rows of chain hotels. If you like to seek out somewhere different but mindful of the surroundings, this really is intelligent tourism at its best. Plus, the Six Senses spa here is lauded as one of the top spas in Asia, so you really have no excuse but to lie down and tune out. Another addition from the creator of the famous celebrity haunt The Metropolitian, London, The Metropolitan Bangkok doesn't fail to wet the appetite. Combining urban modernity with the oriental delights of Katherine King's design, the result is a sleek stylized hotel. The deep hues of dark wooden furnishing combined with gossamer clean lines creates a funky little hotel with a hip style lounge bar to see and be seen in, based on The Metropolitan in London. Plus, a bonus indeed, unlike the London hotel, the room rates in Bangkok are actually affordable. As Bangkok becomes a hip, bargain shopping destination this is really the only place to rest your weary feet, and sip on a drink in the super sleek bar. 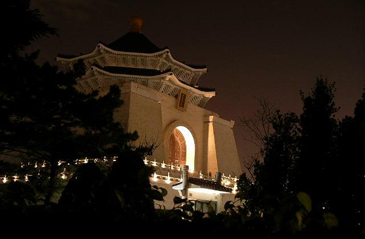 In hectic Taipei, sometimes we all need time out. Stepping into the United Hotel, you can take a deep breath and relax. If like me, good design makes you happy, then you're search for an edgy boutique hotel has ended. Chocolate tone sofas, cherrywood, organic textile designs and silk collages, add a balanced feel to it's design. Orchid scents, white marble floors and funky minimalist furnishings add to the mix of harmony and funk. 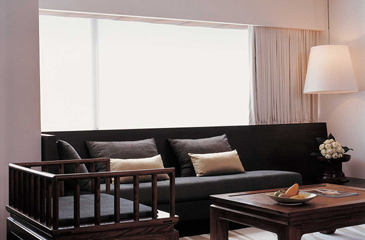 The United is a modern hotel with a hint of the old Far East. The Shanghai and Slate restaurants offer a diverse range of East/West fusion cuisine, which is an extra pleasure in this little pocket of design heaven. Based at the foot of the Himalaya's, this little beauty has been hailed one of the hippest resorts in the world by many major travel publications and it's not hard to see why. As a yoga retreat and spa the Ananda has got everyone talking, it's range of amenities are vast. But it's not just the spa that attracts people here, this place is uber hip and has got an antique charm all of it's own. 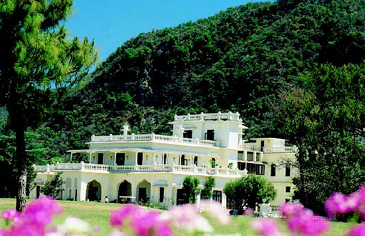 Ananda's 70 deluxe rooms and 5 suites all have unbelievable views of either Rishikesh, or the Ganges Valley. Even the reception area really has to be seen to be believed. Most commonly known as the Viceregal Palace, this tastefully restored architectural wonder, is vivid in striking blue and yellow, literally jaw dropping. For antique lovers, also housed in here is the Maharaja's billards table — the oldest in India, an ornate peice and over 100 years old. The Ananda is the ultimate statement in subtle, antique style and any jaded soul will embrace this bohemien setting. The FCC Angkor, The Commune on the Great Wall, and The United Hotel are members of design hotels(tm). Further details can be found at www.designhotels.com. The international toll free number is 00 800 37 46 83 57.